Hitoride Dekirumon (ひとりでできるもん!) | personal.amy-wong.com - A Blog by Amy Wong. Hitoride Dekirumon! 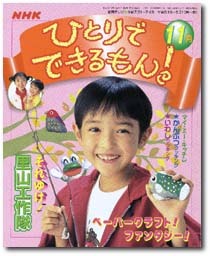 is another NHK show for children I happen to see on my archived videos. It ran through 1991 to 2006 (quite the long run compared to Occidental children programming). Not entirely sure what the name means, Google Translate shows it as One Possible!, but I’m more inclined to say that it means You Can! The show had a main character, I’m guessing around 7 years or so that went around his or her day (not entirely sure on the host policy here) learning about house chores, and easy cooking tips… even gardening! 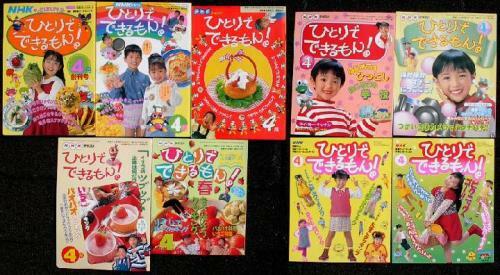 The first kid star in the show was Japanese actress, Hirata Mio, who came back to the show as a cooking aide in 1998 after she was changed in 1994. What I thought was the best bit, however, was the introduction show as it nicked the phrase – at least FOR ME – of PIKA PIKA, PIKA PIKA, PIKA PIKA chaji~~~ I don’t even know if I got the romaji right, ha! According to Japanese Wikipedia, the theme song was called WAKU WAKU Shiteru! (ワクワクしてる! ), which Google translates as The Exciting!, but I don’t know what it means. WAKU sounds like Wake to me, as in Wake Me Up… but if you’ve got the right translation, leave a comment. 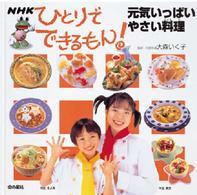 The theme song was apparently nicked my first ever kid starring on the show, Hirata Mio. HOWEVER, I found the introduction entitled PIKA PIKA CHAJI (woohoo! I got it right!) PART 1 and PART 2. I used to watched this tv show when I was a kid… 10 years ago. Do you know if there’s a way I could watch it again on the internet nowadays?